It is now fifteen months later as I sit down to write this chapter. But the memory of that Monday morning is as clear to me today as it was that morning. I woke up to a beautiful Orange Beach, Alabama sunrise in our high-rise condo. It was supposed to be a grand Thanksgiving break family vacation visiting Nick in Florida. Instead, it was the worst week of our family lives. As we woke up that morning, the rest of the world got up and got going just like any other Monday. We just got up. The day before we had said our good-byes to Nick. When we did so, we were told that sometime over the next 24 hours the transplant teams would arrive from all over the South East United States and that the surgery would be completed to remove Nick’s vital organs. Despite being hit by a car going 45 miles per hour, God had made sure that all of Nick’s organs were still perfect. We thought it was a miracle. However, it reality it was simply Nick Murphy continuing to be a hero. Around 8:30 a.m., Alec and I took off to go pick up Starbucks coffee for Theresa and Grant. It was down the road from the condo about five miles, so we had a short drive. It was a beautiful sunny morning on the beach. There was not a cloud in the sky and it was perfect weather. As we were driving down the road, the Life Quest transplant supervisor called me on my cell phone. I answered as I was driving and put her on speaker. She told us “It is all done”. All of the transplant teams had arrived after midnight and the surgeries were completed. She told us, “It is over, and everything went well”. As she talked, it was surreal. I heard her voice, but I did not quite comprehend what she meant. What was all done? The surgery to remove Nick’s organs or the surgeries to transplant his organs into the donor recipients. I did not understand. She told us that everything was done. Nick’s organs had to be transplanted within three hours. All of the organ donation transplant surgeries were completed, and everything had gone well. All of the organ donations were successful. She then told us that “three of the donor recipients were not expected to make it through the night without Nick’s organs”. He had truly saved their lives. We thanked her and hung up. As we drove down the road, I simply started to cry. I knew what she meant, and I knew that this was all necessary, but it also meant that Nick was really gone. I would never be able to touch my youngest son again. I would never again see him alive. It really was over. His life here on this earth was truly over. It was devastating. Alec and I pulled over off the road because we couldn’t drive while we were crying so hard. We had to let it out. We had to mourn and grieve our loss. After a few minutes we stopped crying and sat there in an empty parking lot. I looked at my watch and it was 8:34 a.m. It was at that very moment when I looked up in the sky and I thought to myself that God really does work wonders. At that very minute, right at that same time, I looked at the heavens and said it was crazy. Right then, there were five other families somewhere in the South East United States looking up at that very same sky thanking God for the miracle of life. They were thanking God for Nick’s death that resulted in their loved one receiving his organs, in receiving the gift of life. As we sat there devastated, five other families received a miracle. I was devastated, but I was also at peace. I am sure that was probably being more in shock than anything else, but as I sat there with Alec, I was alive, and I was going to survive. Fast forward to today. It is February 9, 2018. As I sit here on a Friday night writing this chapter of the book. I look back and think about that morning and I have a new appreciation for organ donation. It means something to me. It is not just something on my driver’s license. It is real. It makes a difference, not just to me as Nick’s father, but to all of those individuals whose life was saved, and to all of their loved ones who still have their family member alive. Organ donation is real. Organ donation is a miracle. Organ donation continues to make Nick Murphy a hero. 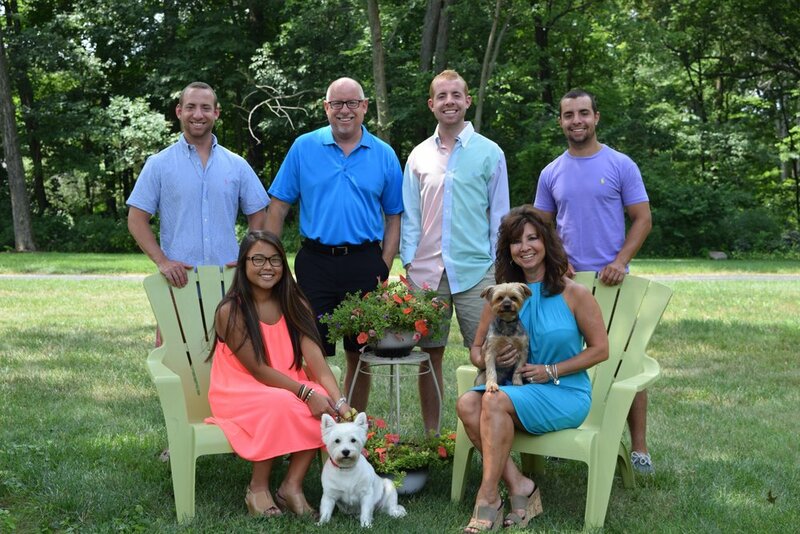 Because of organ donation, Nick Murphy and his organ donor recipients live on. That is a legacy to be proud of. It is February 21, 2017. A letter from our family to your family regarding our son, Nick, who died on November 19, 2016 and had his organs transplanted into five other families on Monday morning, November 21, 2016. This is our first letter of what we hope will be many communications and meetings between our family and yours. If you are reading this letter, it means that part of our 19-year-old son, Nick, is now a part of your family and you though his organs being transplanted into you or your loved one. We were told that there were five recipients of Nick’s organs. A 32-year-old woman received his left kidney and pancreas. A 40-year-old man received his right kidney. A 49-year-old woman received his lungs. A 53-year-old man received his heart. A 64-year-old man received his liver. All of these recipients were in the South East. The fact that you are one of Nick’s donor recipients makes us very happy for you and your family. When we found out the news on Monday morning of November 21st that the transplants had all been completed successfully, we sat in our car after receiving the news and cried. We cried not just for our loss that it was really over, and Nick was physically gone from us, but we also cried for the unbelievable power of God and how he works miracles. As we sat there in the car, I turned to one of my other sons, Alec, and told him how awesome God really is. I told him that at that very minute that we were sitting there crying from our families’ tragedy, there were five other families somewhere in the Southeastern United States looking up at God thanking Him for the miracle of life that they had just received by receiving Nick’s healthy organs. We were told that three of the recipients would not have made it through the night. Our family tragedy was someone else’s miracle of life. For that, we are so proud of Nick and so happy that some good could come from all of this. If you are reading this for the first time, we are hoping that this will be the first of many letters and other contact we receive. We are hoping that each of you live a long and healthy life so that Nick can live on through you and his legacy of sacrifice and commitment will live through you. We are open to any communication you want to have with our family. We are willing to tell you our name and address and let you know anything you want to know about us and our son, Nick. We have started a charitable Foundation on his behalf and will do some great things to honor Nick and his life. We would love for you to know who he was and what he stood for. He made us very proud and continues to do so more each day, even after his death. Nick comes from a loving Catholic family of six people, with us parents having been married for 29 years this September, and three other siblings (2 older brothers and a younger sister). Nick’s oldest brother Grant is 23 and in his second year of law school. Nick’s next older brother is Alec and is a Junior in college studying pre-law and political science and will be going to law school in a year and a half. Nick’s younger sister Laney is 15 and a sophomore in high school and will probably go to law school down the road. Did we mention that we are a family of lawyers (my wife and I met in law school and are both lawyers? Then there is Nick. The “youngest toughest hardest working so I can beat my older brothers” youngest son and the best big brother his sister could ever ask for. Nick was 19 ½ when he died so he was four years older than Laney. Nick was anything but a future lawyer. He was going to change the world and have a physical job, and not sit behind a desk all day. So, what did he come up with. He was going to go all in and try to become a Navy SEAL. So that was his goal and his dream for the past five years. 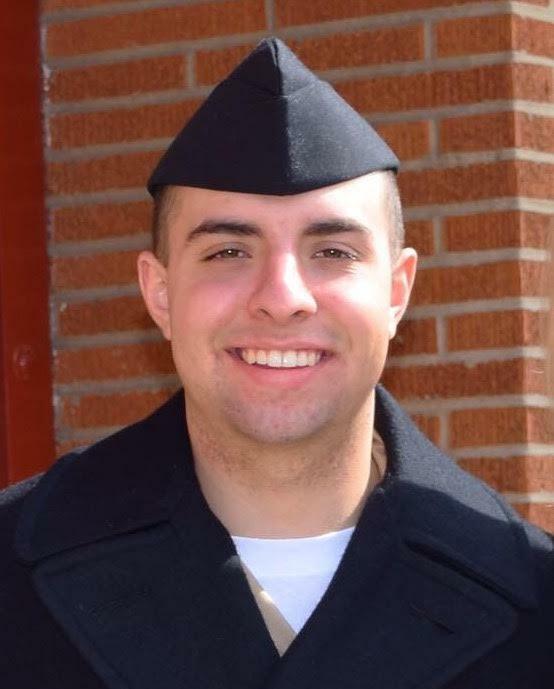 So instead of going to college, despite scoring in the 97th percentile on his ASVAB test, Nick joined the United States Navy and started his dream of becoming a Navy SEAL in January, 2016. He did not make it on his first try, but he was determined to make it the second time around in another year and a half. Hopefully, we can get to know all of you better and you can simply hear and read all about Nick’s life and his Foundation. He was a special young man and once we can give you his full name, you will see and read all about his life. It was an exceptional 19 ½ years here on earth. From a parent’s standpoint, we couldn’t have asked for a better son or a better 19 ½ years with Nick. We can’t go through everything in this letter, but hopefully we can tell you a little about Nick so you get a little feel of who he was. First, Nick was a hero. He was a hero in the last act he completed while alive and he continues to be a hero by being an organ donor and helping other people’s lives like all of you. He continues in his death to be a hero through his Foundation and all of the military, educational, charitable and legal giving that is being completed on Nick’s behalf. In his death, lots of great things are happening to continue on his legacy. When he was killed, he was hit by a car while walking with two other sailors in the crosswalk. None of them saw the car until it was too late. The car did not see them. Nick was hit straight on and killed instantly. However, despite being brain dead, all of his organs were in perfect shape. This must have been God’s plan since our 19 ½ year old son was in the greatest shape of his life, was running 10 mile runs like it was nothing, and had gained 27 pounds of muscle in the last four months. So despite being hit by a car going 45 miles per hour, all of his organs were in perfect shape for you. That is a miracle and we are so happy for you. In addition, Nick saved his fellow sailor at the last minute by pushing her out of the way of the speeding car, and saved her life. The car still hit her, but not with its full impact. She survived and will make a full recovery. This is why we are so proud to be Nick’s parents. Nick was simply an awesome young man. He loved sports and played baseball and football. He excelled in all sports despite not being all that big. He was only 5’7” tall and weighed 167 pounds when he was killed. He was not the biggest guy on the team, but he was definitely one of the best with the biggest heart. Nick’s favorite quote was the “Man in the Arena” by Teddy Roosevelt from Paris in 1910. It was all about getting into the fight and trying hard despite failure. That was Nick. He continued to try no matter whether he failed or not. We are attaching some photos of Nick, our children and our family for you to see us. We hope you enjoy hearing about Nick. He was a special young man. Please write us back and let us know about you and your family if you are comfortable doing so. We would love to see how all of this has been a benefit to you and your family. Thanks. We then attached four of our favorite photos. Then we waited to see if anyone would respond. It is Monday morning, June 5, 2017. I get up at 6:00 a.m. as usual and check my email before getting ready for work. Clients email me at all hours, so I generally check my email early in the morning to make sure there are no overnight emergencies. That morning, I see an email from an unknown email address and open it up. Little did I know that this email would change our life forever and mean so much. As I looked at the email, it did not register at first who it was from or that it had to do with Nick. However, it did not take long to figure it out. It was our first response to the letter we sent through LifeQuest. It was from Aaron. This letter has been a long time coming. My name is Aaron and I am the recipient of Nick’s heart. I wanted to wait until the 6 month mark and got the all clear from the transplant clinic that I was stable. I’ve started to write this letter so many times, even before I got your letter. I want it to be sincere, sensitive, and heartfelt while also giving you a glimpse of me, without losing sight of the obvious emotional realities of losing such an exceptional loved one. For someone like me, who similar to Nick, likes to do for others and give of myself, this was very hard to accept and write. But like you said, God has a plan. We can only follow the path. So now, let the conversation begin! First and foremost, I want to thank you and your entire family, and am so grateful for the qualities you all instilled in Nick to allow him to be a donor, MY donor. There are no words that can adequately describe my gratitude. I actually wasn’t the first person who read your letter. My friend who picks up my mail, told me I had a handwritten envelope. I asked her to read it to me over the phone. She couldn’t even read it without crying. I too was in tears. It was the most thoughtful, meaningful, and warm letter I have ever received. I immediately wanted to reach out and hug all of you. It was like getting a letter from a family member. We are, in fact, now family, connected through blood and spirit. I’m sure, from what I’ve read and just from his picture, we most likely would have been friends, despite the age difference. That was how it all started. His letter then went on for four more wonderful pages. Here is how it ended. I am doing my best to take great care of Nick’s heart. I always ate well and do most of my own cooking. I don’t do drive thru junk food, except for Starbucks or Dunkin Donuts. Slowly I hope to return to playing sports. I am a big baseball guy and hope to get on the field soon. I played fast pitch softball in Israel. 2B and 3B mostly. I’m sure Nick was a Cubs fan being from Illinois. I’m a long time Yankees fan. In fact, we were at 2 spring training games this spring. There are lots more stories, experiences and deep emotions to share. I do hope to meet you and the “mishpucha” (Yiddish for family) sometime and most definitely speak. I’m attaching some pictures of me throughout the years. The last one is me in my Purim costume as Clark Kent in March. It was my first time out in a public gathering. All my friends called me Tin Man before the transplant. It changed to Superman thanks to Nick. By the time he was done, we felt like Aaron was a long-lost family friend whom we had not seen since high school. His letter and raw emotions to us were that impactful. Just like our letter originally sent, it was pure love and gratitude, and totally from the heart. That was the beginning of our new friendship. He also sent a few photos. It is now Wednesday, August 30, 2017. Nine and one-half months after Nick’s death. We are driving up to Elgin, Illinois, a suburb of Chicago to meet Aaron. We have been in contact with Aaron since early June when he answered our prior letter to all of the unknown organ donor recipients. Aaron has Nick’s heart beating in his chest. Aaron is alive because of Nick. Aaron is real. He is Nick’s heart recipient and we are driving up to Chicago to meet Aaron in person for the first time. I remember talking to our kids on the way up to Chicago that night. Theresa and I were nervous and anxious. We had been talking to Aaron through the telephone and through emails and texts for almost three months, but an in-person meeting was totally different. How would he react to us and us to him? What would the kids think? Would he like us? Would we like him? All silly questions and emotions, but all true to the core. Why did we want to know him and like him? Why did we want him to like us? It is hard to describe unless you have gone through the pain of losing a child, but Nick truly does live on through Aaron. A piece of our son, a large piece, is inside Aaron’s body. No matter what anyone tells you, it is exciting and comforting to know that your child still lives on in some small part. It is that connection to “life” here on earth that means everything. That is why we were so nervous and anxious. As we drove up, Grant, Alec and Laney were all talkative, but not too much about Aaron. Grant’s fiancée Maria Puetz is a pediatric intensive care nurse and she brought her stethoscope with her so we could listen to Nick’s heart. We had not heard it since that Sunday afternoon on November 20, 2016. Much of the conversation on the way up was whether we would even bring out the stethoscope or mention it, and would Aaron think we were nuts for asking. It was quite the conversation. It is funny how life works out. Originally, I was the most excited one to meet Aaron in person. I had been the main contact with him and I felt like he was already a part of the family. I know it was wishful thinking and maybe a little weird, but in my mind having Nick’s heart beating in his chest meant that a little bit of Nick was still alive. That is how I felt. It gave me a reason to understand how God could have taken Nick from us. It gave me a reason to believe there really is a Plan. It gave me justification that Nick’s death was not without cause. Nick saved Breona’s life and now he had saved Aaron’s life. These were real people with real names and not some nameless faceless persons. It meant a lot to me personally for Aaron to live with Nick’s heart. On the way up to Chicago, I was all excited. Probably too excited. Mostly nervous energy and a lot of talk about Aaron. Evidently, I was being too hopeful because at one point, Alec told me to calm down and stated “Dad, stop acting like Aaron is Nick. He is not part of the family and it’s not like we are going to be spending family holidays together. It is just a dinner”. That was how the kids thought about that dinner before dinner that night. It was just a dinner. I heard him say it, and he was right, Aaron is not Nick. But in my mind, Nick is now a part of Aaron and that makes Aaron a part of our family, at least I hoped. I told Alec “I know”, but secretly I hoped Aaron would become part of our extended family. I wanted Nick to live on so bad that I hoped anything was possible. I realized then what a difference there is between a parent losing a child and a sibling losing a brother. Both are horrible and life altering. But there is a distinct difference. From a parent’s perspective at least, it is so devastating that life as you know it simply ends. It will never be remotely the same. As Theresa told me months later, no matter how great we do, we will never be the same because a piece of our heart has been torn out and can never be put back. Well said. When we got to the Chicago suburbs, we had arranged to meet at a local restaurant. Aaron was coming with a close childhood friend of his who lived in Chicago, and we were coming with Theresa and I, Grant, Alec, Laney and Maria. It was a little stressful to say the least walking into the restaurant. We knew what Aaron looked like from pictures and he knew what we looked like. However, we had never seen each other in person. I dropped off everyone at the front door and went to park the car. I could not stand being first I was so nervous about meeting him. I parked the car and went in the front door. Right when I walked in, there standing at the bar giving my family hugs was Aaron. I walked over and he turned around and we gave each other a huge hug. I know at least for me that was one of the best hugs I ever received in my life. I know it sounds weird, but it was like hugging Nick, at least just a little. For the next three hours, we had the best time of our life. Aaron is outgoing, funny, charming, engaging, a great story teller, and most importantly one of the most genuine and nice people you will ever meet. Our family loved him and he loved us. It really was like talking to your best friend from high school that you hadn’t seen in 20 years, but the minute you get together it is like you were never apart. It was a magical evening that could not have gone better. During dinner, Alec sat next to Aaron so they were able to talk a lot. The funniest part of that evening was that Alec loved talking to him and getting to know him. They talked and laughed and traded stories throughout the entire night. Alec is our most outgoing child and equally engaging and funny. As the night went on, you could see the friendship developing between Alec and Aaron. On the way home, the conversation with the kids was totally different. Each one of them loved the entire evening and loved meeting Aaron. Despite his comment on the way up, Alec’s statement on the way home was just the opposite. He told us all in the car that “He could not wait to see Aaron again in Florida next time we were down there”. It seems Alec’s first thought was incorrect. Aaron was going to be part of our family after all. I just smiled and felt pure joy that God had brought us together. It was awesome. Not only was Aaron and his friend super nice and like old friends, he was amazingly grateful for Nick’s heart and for Nick. He was appreciative of everything he had received and treated it like Nick’s heart truly was a gift from God. He could not say enough about Nick and his sacrifices, or thank us enough. He was genuinely appreciative and grateful. It made us so proud that Nick’s heart went to such a wonderful man. We could not have been happier. Toward the end of the evening, it was getting late and we had a three-hour ride home still on a work night. So we started to wrap things up. We were making plans to get together again in Florida, where he is from, and all of a sudden out of the blue, Aaron pulled out a stethoscope. We all looked at Maria and started laughing because she had the same idea earlier and we were nervous about bringing it up. Aaron told us that this was his stethoscope that he had in the hospital and he wanted us to hear Nick’s heart with it. It was unbelievable. So out of the restaurant we went into the front parking lot. Once we got outside, Aaron unbuttoned his shirt and we all listed to Nick’s heart beating in his chest. The valet sitting at the front door was looking at us like we were a bunch of crazy people wondering what the hell was going on. We all had a good laugh and didn’t want the evening to end. It was a magical night and truly special. It was especially rewarding for me. It is hard to describe my feelings considering Aaron is a similar age to Theresa and I and thirty years older than Nick, but in many respects he is a lot like Nick and it was like talking to Nick as a 50-year-old. Aaron was a baseball player who played third base and second base. He was in the Israeli Air Force. He was about Nick’s height and weight and in great shape. He is Jewish, so we laughed about that since we are Catholic. But in every respect possible he is just a wonderful human being and is now part of our family. For us, God could not have picked a better person to receive Nick’s heart and we are grateful that Aaron chose to contact us and become a part of our lives. Several months later, over Christmas break, we met up with Aaron again at our home in Florida and spent another fun filled evening with him. He is also coming to Peoria on June 11, 2018 to be the guest of honor for the 2018 “Fairways for Nick’s Foundation” golf outing to raise awareness for organ donation. Aaron is a special man and a great person who we are proud to call friend. It is now Friday, February 9, 2018. Tonight, as I sat down to write this chapter, I emailed Aaron to see if I could have permission to use part of his original letter for this chapter of Nick’s book. 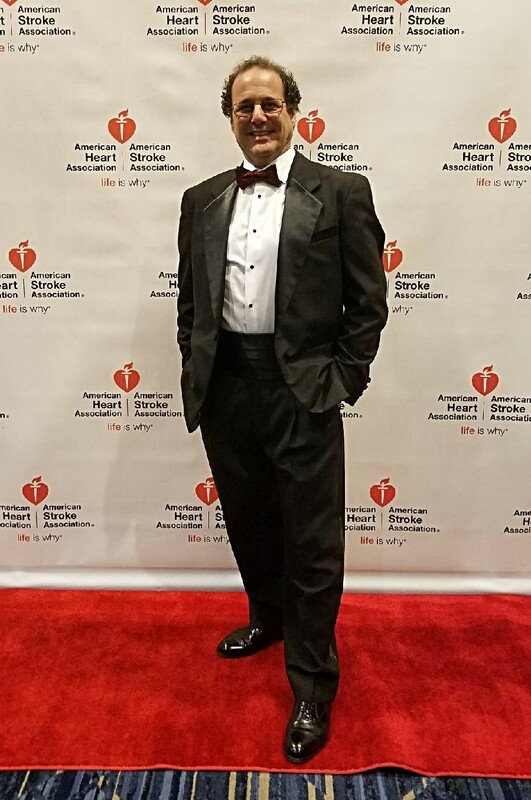 He sent me a text back and a picture of him tonight in his tuxedo at the Heart and Stroke gala in Florida that he was attending. How fitting is that. On the night I text him and write this chapter of the book, Aaron is in Florida celebrating the gift of life through organ donation in honor of the American Heart Association and the American Stroke Association.